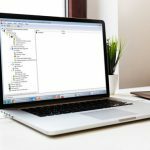 When working with documents in your repository, you may want to view different information about different documents using the columns in the folder browser. For example, you might want to display columns for the document’s template, author, and modification date when working in the Reports folder, but you might want to view the approval status, approver’s name, and classification level when browsing the Records folder. In addition, you might want to be able to view the document’s number of pages and whether it has been OCRed and indexed when you are performing administrative tasks, but not the rest of the time. You can save multiple column layout as profiles, and quickly and easily apply any profile to any folder. This allows you to show exactly the information you need at a particular time. For instance, if you were managing a Reports folder, you might want to be able to switch between two column profiles, one showing the document’s author, template, and creation and modification date when you are referring to and routing documents, and another showing the pages and indexing information when you are monitoring the folder to ensure searchability. You could use column profiles to save these, allowing you to switch between them with a click rather than having to manually reconfigure them each time. You can set up as many column profiles as are useful to you, and then use them to switch what columns you want to see quickly and easily. 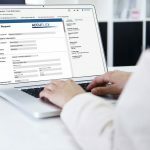 For complete instructions for creating saved column profiles, see Column Profiles in the Laserfiche User Guide, or Column Profiles in the Laserfiche Web Access help. Once a column profile has been created, you can use it by simply right-clicking the column headers, pointing to Load/Save Columns, and selecting the column profile you want to load. 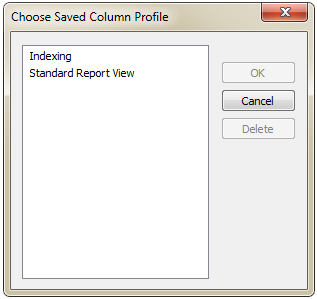 Note: Saved column profiles are saved on a user-by-user basis in the user’s trustee’s attributes. Each user can save the specific profiles they need. You can share column profiles between users by copying the appropriate column profile form the ColumnProfile subset of their trustee attributes into another user’s trustee attributes, or you can share it with everyone who will use the repository by copying it into the Everyone group’s trustee attributes. See the Trustee Attributes white paper for more information.